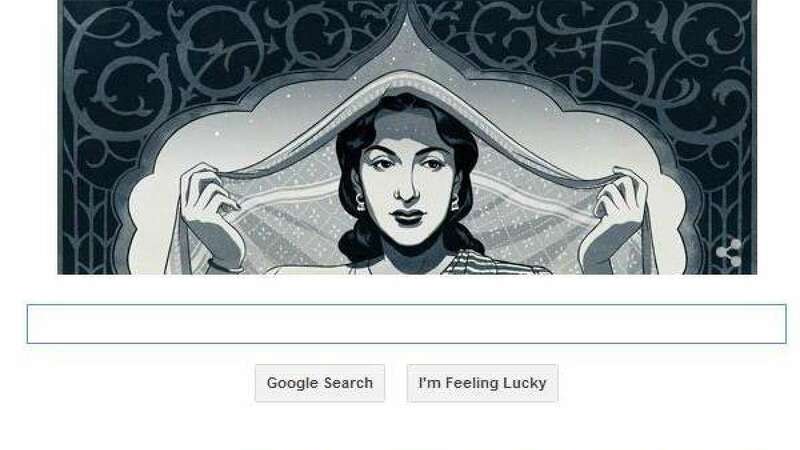 New Delhi : Google on Sunday paid tribute to legendary actress Nargis Dutt on her 86th birthday by a commemorative logo on its homepage. In Google’s logo she is seen holding a dupatta with both hands. • The company replaced its logo with a drawing of the late actress holding her dupatta with both hands. • She is best known for her act as Radha in "Mother India" (1957), which bagged her Best Actress trophy at the Filmfare Awards. • In 1981, the legendary actress lost her battle against life to pancreatic cancer.